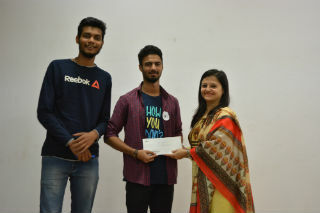 TRIWIZARD was organised by E-360- The Club Economics on 22nd October 2018 in A building Auditorium from 12-2 p.m. Students from all the courses participated in this event. The event took place in 3 games. The first game was ‘Match the following’ in which the participants were given some economic words along with their percentages or amounts. The participants were given the time of 10 minutes to match all the words with the percentages or amounts. 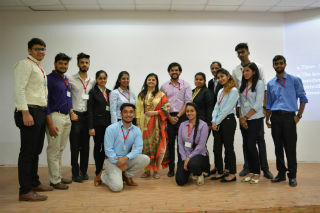 The participants who matched all the words in the minimum time and had maximum correct answers proceeded towards round-2. The second game was 'Find the words' in which the participants were given a grid and some words which they had to locate in the grid. The participants were given 15 minutes time to complete this round. 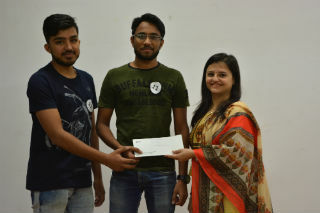 The participants who were able to find the maximum number of words in minimum time proceeded towards the round-3. The third and the final game was 'Spelton'. 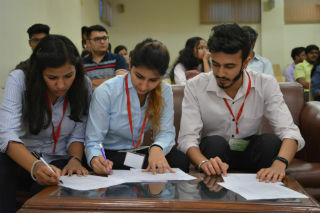 Under this game, the participants were given with certain letters from which they had to form the maximum number of economics-related words within 15 minutes time frame. 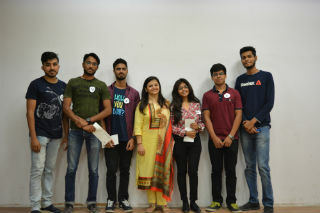 The final winners who secured 1st, 2nd and 3rd position were: Somya and Utkarsh (BCA 2nd year, 2nd shift), Mayank Goel and Rohit Jain (BBA 3rd year, 2nd shift) and Alvin and Arpit (BCA 3rd year, 1st shift) respectively. 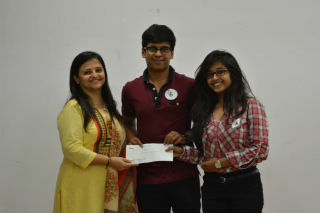 Our Club Coordinator and Judge for the event Ms. Aakanksha Chopra gave away cash prizes to the winners. Entire event proved to be a great success!